Brad asked about some aromatherapy options for acne. These ideas come from Valerie Gennari-Cooksley’s book, Aromatherapy: A Lifetime Guide To Healing With Essential Oils. It’s my number one go-to resource for all things about aromatherapy. She recommends facial steams for opening the pores and increasing circulation. Here are Valerie’s recipes for the steam and the toner, as well as a moisturizing oil (for those with acne and very dry skin). Combine in a bowl, drape a towel over your head, and try to keep your head 8 inches away from the water and keep your eyes closed. Hover over the steaming water for 15 to 20 minutes 2-3 times a week. Don’t use boiling hot water. Follow with a toner or facial spray to close the pores and balance your skin’s pH level. Combine ingredients in a smallspray bottle and mist over the face after cleansing. Or, moisten a cotton pad and smooth over face to remove oils and dirt during the day. In a 1-oz amber glass bottle, add all ingredients and shake to mix well. Apply to moistened face by pouring a few drops on clean fingertips and spreading over your face. Avoid the eye area. Can be used twice a day. 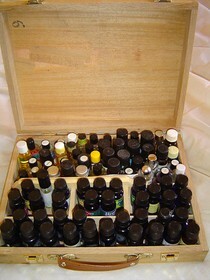 According to Valerie, the essential oils known to positively affect acne conditions include: Bergamot, Cedarwood, Clary Sage, Chamomile, Eucalyptus, Geranium, Grapefruit, Juniper, Lavender, Lemon, Lemongrass, Lime, Mandarin, Nerolie, Patchouli, Petitgrain, Peppermint (in low dilutions only), Rosemary, Sandalwood, Tea Tree, and Ylang Ylang.